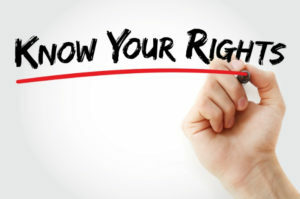 Know your rights: have you been underpaid? Have you been underpaid at work? 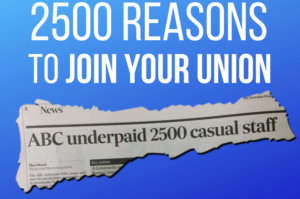 The ABC has publicly admitted that it may have underpaid up to 2500 casual staff over six years and is now reviewing how penalties, allowances and loadings should have been correctly calculated and applied to those workers. 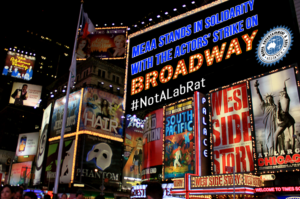 MEAA Equity stands in solidarity with American Actors’ Equity in their campaign to improve payment for development work on Broadway musicals. Please note well: MEAA has normally made arrangements for and conducted elections for offices in ‘even-numbered years’. 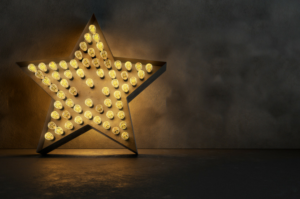 MEAA Member Central will be open the following hours (AEST) during the holiday period. Contact 1300 65 65 13.